The Moon in Pisces sextiles Mercury in Capricorn at exactly 7:15 AM EST. Lunar aspects have an 'orb of influence' of 12 to 14 hours 'before' and 'after' their exactness. The Moon in Pisces sextiles Saturn in Capricorn at exactly 4:13 PM EST. 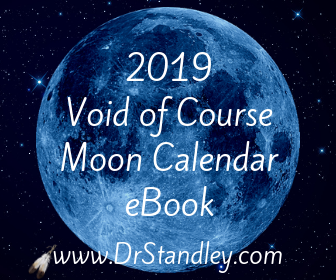 Lunar aspects have an 'orb of influence' of 12 to 14 hours 'before' and 'after' their exactness. The Moon in Pisces squares Jupiter in Sagittarius at exactly 6:48 PM EST. Lunar aspects have an 'orb of influence' of 12 to 14 hours 'before' and 'after' their exactness. 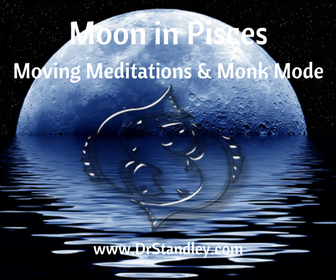 The Moon in Pisces squares Neptune in Pisces at exactly 7:48 PM EST. Lunar aspects have an 'orb of influence' of 12 to 14 hours 'before' and 'after' their exactness. Download the 'Moon Sextile Mercury' chart wheel here! Well, the day begins pretty dang Good and ends a bit crazy and kooky. Notice the line-up of aspects above. Sextile, sextile, square, conjunction. Sextiles make us smile. Squares are sharp, like the corners on a table. If you run into that corner, it's gonna leave a mark. Conjunctions are like we learned on Electric Company as kids . . "Conjunction Junction, what's your function? Hooking up words and phrases and clauses. Conjunction Junction, how's that function?" Well in Astrology, the hook-up is the energy of the two planets involved. When these two planets hook-up (conjunction) they intensify the energies of the planets involved. It's the, "Two heads are better than one" theory. So we begin on a light note with great communication and hitting all of the green lights driving to work, since Mercury naturally rules Gemini along with communication and transportation (local travel). Thoughts and feelings are working well together and no one is getting flipped off in traffic. Okay, maybe a few. The heart and the mind are in-sync. You may even become super-motivated to workout or eat right since Mercury naturally rules Virgo and the 6th house of physical health. As the day progresses, our emotions are stable (Saturn) and more serious as we get down to business and may even work late or take work home with us. This is great energy for discussing business or more serious matters in a relationship. As the later hours roll into town, the energy becomes self-indulgent and too generous. Some are calling this day a start to an early weekend and picking up the check at happy hour when they really can't afford it. STOP IT! Chances are, people know what you do for a living and know if you can afford to blow money like that. Throw in only your fair-share and be done with it (including tax and tip). There is a temptation to over-drink, not workout and blow money. STOP IT! The day ends with a glass of wine that turns into two (maybe three) and maybe even an argument. Neptune should NEVER BE MIXED WITH ALCOHOL. Ever! But if you have been reading my horsocopes long enough, you already know this. I have posted this daily horoscope six (6) days early so you should have already read this and known that alcohol and Neptune do not mix today. Alcohol will do nothing but distort your reality. And please STOP MIXING YOUR ALCOHOL WITH YOGA. They don't mix. Yoga is totally Neptunian and Piscean. It's a moving meditation. Take your yoga seriously and leave alcohol out of it. It's not as cool as you might think to mix the two. Just sayin'.